New York City apartments selling for more than $1 million will be subject to a 1% tax. Beginning at $2 million, the rate graduates up to 4.15% on purchases $25 million and more. The tax is expected to raise $365 million. On the heels of the mansion tax being passed, private equity funder Jonathan Gallen listed his six-story UWS townhouse for $22.8 million. If he does not sell before the new budget takes effect, the buyer’s tax liability will jump by $619,000. 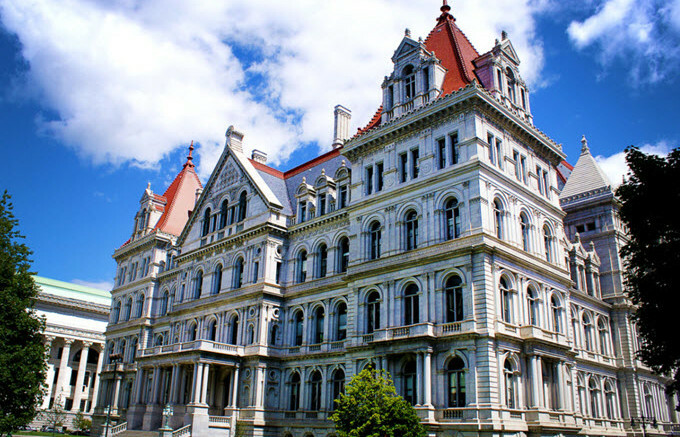 Other budget items that were approved include a plastic bag ban, and a congestion tax that will require drivers who enter Manhattan below 60th street to pay a fee.